Carol's stage career enters a very exciting and interesting phase. It takes her out over the country on the hardest yet most colorful assignment of "show business." Carol goes "on tour." But not before the play in which she earned her first big part proved a smash hit on Broadway and she was on her way to losing her head from the resulting publicity. Her friends, Julia Gregg and caustic but devoted Mike the assistant producer, manage to prick the balloon for her and Carol comes down to earth solidly enough to accept a role in Miss Marlowe's production of The Merchant of Venice. It means more hard work and travel with no let-up from city to city as well as learning the new discipline of playing Shakespeare, but Carol accepts the challenge to develop her talent under the master playwright of them all. 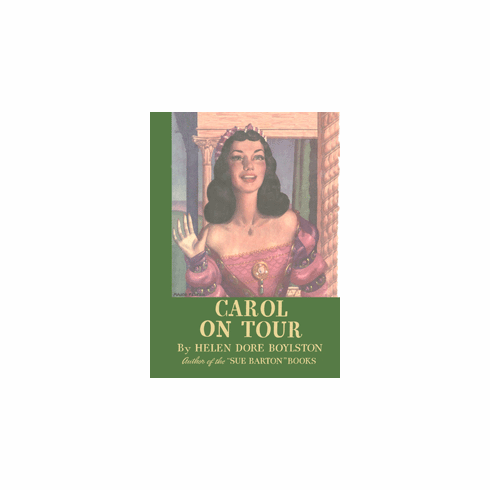 Carol's adventure in the theater is sure to inspire her readers to follow their dreams and reach their goals.